"Welcome to the third and final presidential debate. Tonight is going to be a lot like the third 'Lord of the Rings' movie: You don't really want to watch. But hey, you've come this far." That's how Tom Hanks as debate moderator Chris Wallace opened the latest episode of "Saturday Night Live." Hanks then pivoted to trying to control Alec Baldwin's Donald Trump, as well as Kate McKinnon's Hillary Clinton in the cold open debate sketch. "In the first debate, I set the table. In the second debate, I fired up the grill. And tonight, I feast," said McKinnon's Clinton while sharpening two butcher knives. The long-time variety show ended its debate sketch trilogy on Saturday with Baldwin and McKinnon lambasting each other. When Baldwin satirized Trump's "bad hombres" line from the debate, McKinnon yelled "BINGO!" 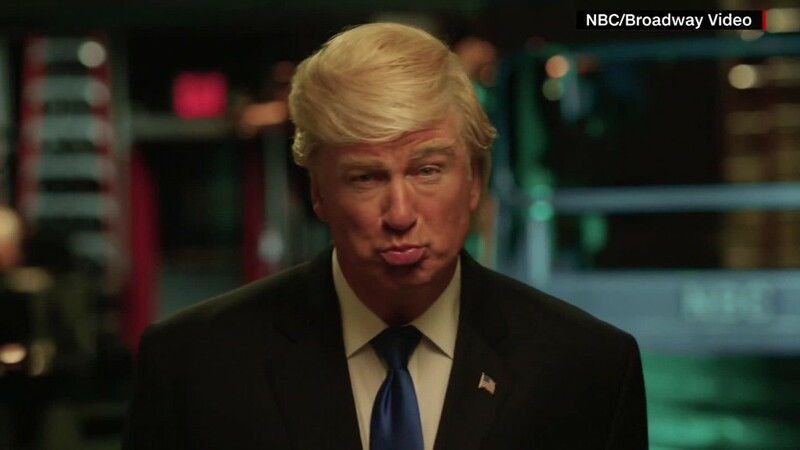 When Baldwin repeated Trump's "nobody has more respect for women" line, the show cut to crowds laughing hysterically. "Alright, alright, settle down, entire planet," said Hanks, who was also the host of the episode. Hanks' Wallace tried giving a lifeline to "Trump" by walking him through what to say about conceding the election if he should lose. "Trump" couldn't follow through. In mock closing statements, "Trump" thanked his supporters for helping him win in "every single poll taken outside of Cracker Barrel." McKinnon's Clinton said her competitor would be a "complete F" as president, while she would be a "stone cold B." Yet, Baldwin's Trump got the last word. "On November 9th, make sure to check out Trump TV," he said. "You're going to hate it."